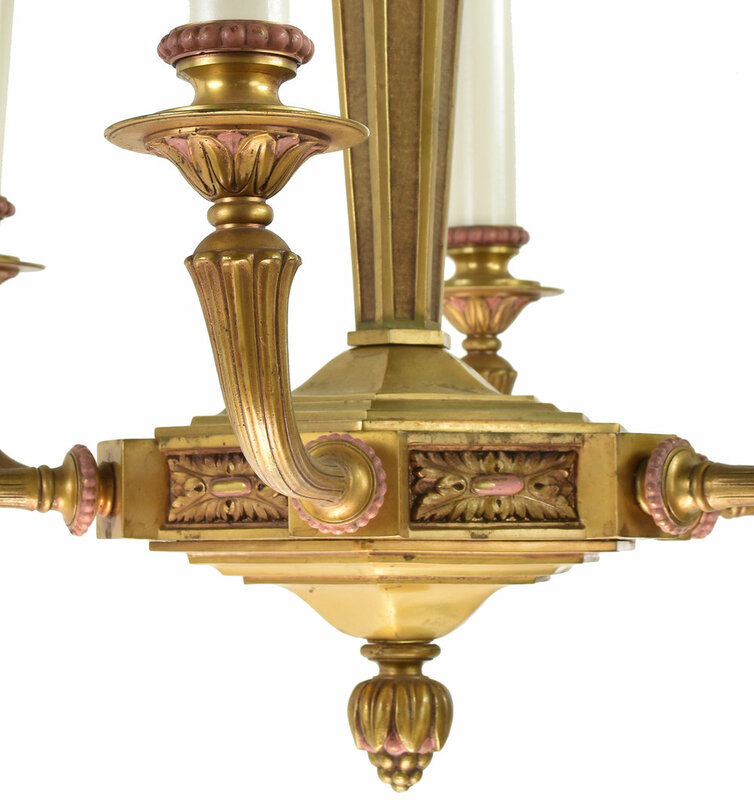 Elegant six candle cast brass chandelier with sweeping arms and leafy details throughout the fixture’s body. 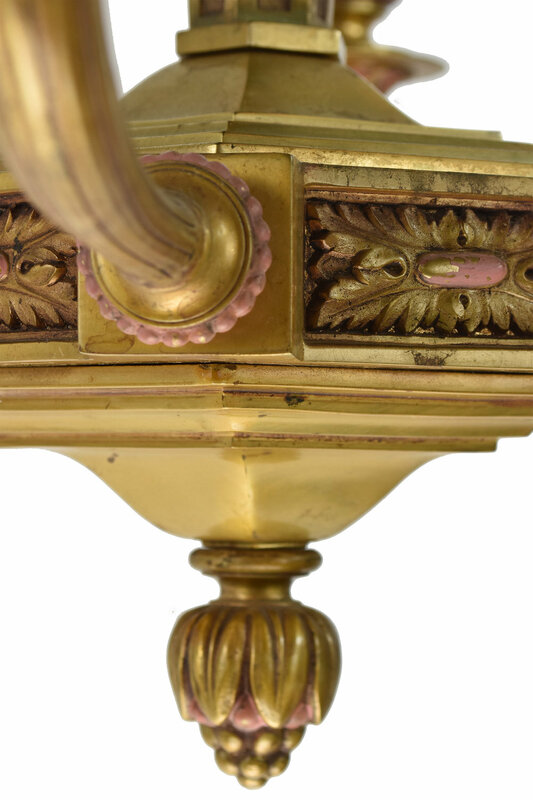 Subtle, soft pink accents meld seamlessly with the warm brass, creating a rich blanket of color. Be sure to include the Product ID (AA#48028) when making your offer.